Back to 2005, I still remember how I was very much influenced by Andrea Hirata's masterpiece, Laskar Pelangi. This book has been inspiring lots of people. It's been translated in 34 languages and published in more than 120 countries. I even visited Belitong to find more about everything told in the book. Now after 10 years, I started reading Andrea's latest book, Ayah, and tell you what I felt kind of deja vu here. Perhaps since the setting of the story is still in Belitong. Although the theme is different instead of talking about Ikal and his friends, this time Andrea tells about fathers with all the ups and downs in life. 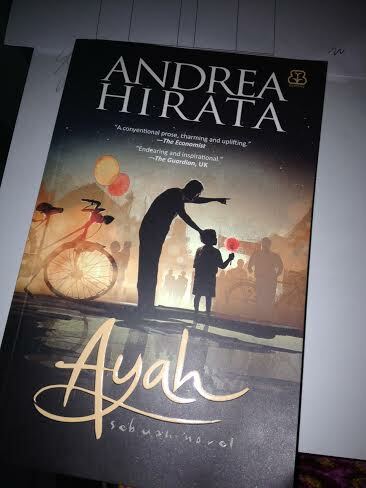 According to Andrea, Ayah tells about ordinary people with extraordinary experiences. I really enjoyed the story since Andrea's signature is strongly shown here. 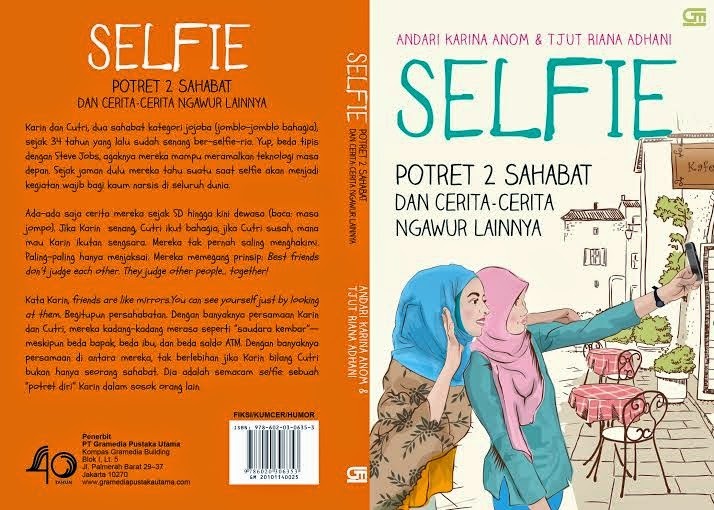 He delivers the story in his usual way with vivid characters, jokes here and there, Belitong people and culture. All is packed within a detailed research and experiment. Thus Andrea said, it took six years to finish the book. I enjoy the book a lot. I just can't stop laughing and feel blue at several parts. All in all if you miss Andrea's usual writing, this is the one. Highly recommended.